A local gambler is about to lose out on a major payday, Oregon Lottery officials say. On Nov. 25 of last year, someone in Portland purchased a Powerball ticket with five matching numbers — nabbing a cool million dollars. But the money is still unclaimed, and the ticket expires one year from the day it was sold. If that happens, the winnings will be donated to the state's Economic Development Fund. 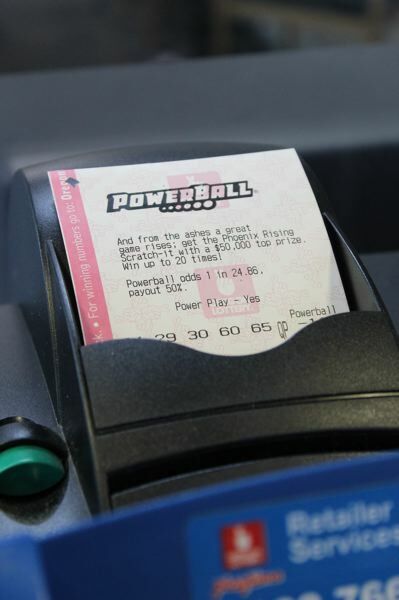 The winning numbers are 08-13-27-53-54 with a Powerball of 04. The player matched all five numbers in the drawing but biffed on the Powerball number. "Please check those tickets," Lottery spokesman Patrick Johnson said. There's another unclaimed Powerball ticket purchased in Portland on Nov. 15, 2017 worth $50,000. In that case, the digits to find are 23-32-44-48-50 with a Powerball of 25. The player matched four numbers and the Powerball number. Lottery officials say it's not uncommon for gamblers to win big but never collect their earnings. About $5 million in unclaimed prizes is donated to the Economic Development Fund each year. Last fiscal year it was $5.4 million. "Every time I see the numbers of how many unclaimed prizes go into the Economic Development Fund, I am shocked," said Johnson. "If you are going to play the games, please check you tickets. These two unclaimed prizes are a significant amount of money, enough to really make a difference in someone's life." Risk-takers who are tired of making the trek to their local bar or corner store should know that the Lottery recently released a new mobile phone app that can scan and check tickets. The new app is currently available on Apple App Store and is coming soon to the Google Play Store. So while it might be a longshot — it's time to check those tickets.